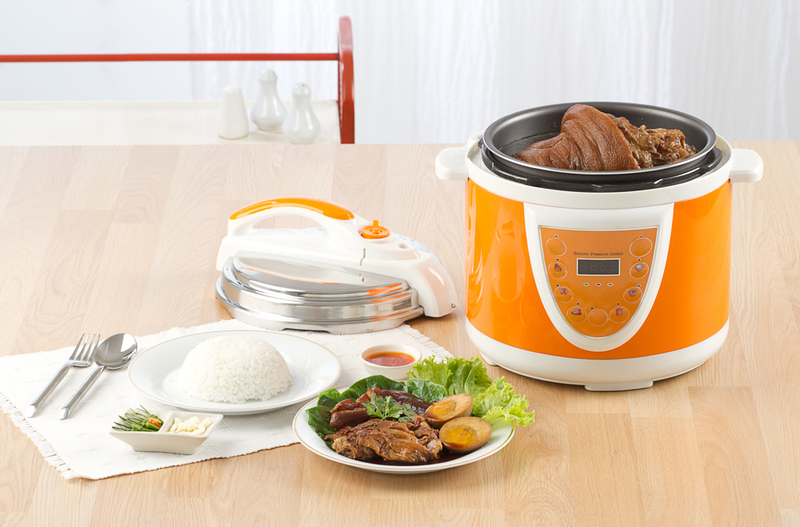 Solo Moms all over are joining the electric pressure-cooker craze. Thanks to a variety of deals, many purchased the Instant Pot and have been wondering what to do with it. My friends have been raving about it, but it took me months to tear myself away from the comfort that is my Crock-Pot. I’m a meal planner—a freezer-cooking, sometimes-Solo Mom who flat-out refuses to cook dinner anytime between 4:00 p.m. and 6:00 p.m. Not happening. The witching hour is real, we have sports, we have homework, and there is only one of me! So when the Instant Pot was on sale, I figured I’d give it a try. It is just as awesome as my friends promised. In fact, I’ve used my Crock-Pot exactly twice since I received my Instant Pot, or IP, as my kids call it, and that was because I wanted to cook two things at once. A pressure cooker can be intimidating, so I’m offering my top tips to get you started along with a few quick recipes to try. I know that Solo Moms don’t have time to read the manual cover to cover, nor do they have time to search for recipes on Pinterest. When it’s time to start dinner, or more realistically, after the kids start clamoring for dinner, there needs to be a plan. To make hard-boiled eggs, put the eggs in the trivet or basket (as many as you want), and cook for six minutes on manual. Let them naturally release pressure for four to six minutes, then throw them into an ice bath and they peel so easily! When preparing to freeze what you’ve cooked, put your meals in containers that will fit inside the IP, then you can just pop them out of your container and into the pot. Put them in, and sauté for five minutes before starting the cooking process, if cooking them from a frozen state. Consider getting additional accessories if you use it a lot. You may want a steamer basket, an extra seal (or two), and an extra pot so you can make many things in a row. Last night I made rice, brussels sprouts, and pork chops all in my IP, which I had to wash in between making each course. That was annoying! IP accessories also include cute little oven mitts that are perfect for the IP. Your IP also can be used as a slow cooker! This has been a great feature for me if I need to make more than one thing in the Crock-Pot. It makes cleanup really easy because the top, seal, and pot of the IP can all go in the dishwasher. Don’t be afraid to be creative! No one wants to spend time chopping, prepping, and mixing things to go into the IP when the whole point is to cook meals quickly. There are a few options to avoid this. My favorite is preparing the meals in advance. You can do it freezer-meal style by preparing a week or more at once and then freezing them, or you can do a few meals at a time on the days you have extra time. For those days when you have nothing ready and need dinner quick, here are some healthy ideas. Oatmeal. This recipe is supereasy and takes about 10 minutes. It’s perfect to throw in while you pack lunches, braid hair, or find socks. Add one cup of steel oats and three cups of liquid. I use one cup milk and two cups water, but you can adjust however you’d like. Cook on the manual setting for three minutes and let the pot release pressure naturally. Don’t rush it and move the valve immediately. Then add some cinnamon or fruit on top. Voilà! Chicken tacos. With only four ingredients, this recipe may take two whole minutes of meal prep and then 15 minutes to cook once it reaches pressure. Toss three chicken breasts in the pot, add a cup of salsa, a tablespoon of taco seasoning, and one half cup of water. Cook on manual for 15 minutes. Do a quick release, and then shred the chicken and put it in tacos or on a salad, or however you want to eat it. You can start this one up and then help your kids take baths, read, or do their homework while it cooks. Chili. This recipe is a favorite in our house. It does take a little longer to cook, requiring 35 minutes, but it can be easily prepared in advance and reheated or preset to cook while you are at soccer practice or piano lessons. I cook the ground beef in advance (usually in my IP), and chop the pepper, onion, and carrots beforehand. Last time, I added zucchini, and it was wonderful. Then I added canned crushed tomatoes and spices, which could also be premeasured for a quick addition. Cook on the meat/stew option for 35 minutes, and you can release pressure either way. Try some of these tips and tricks, and prep a few meals in advance to get your family eating healthier foods. An extra bonus to having a pressure cooker is the excuse for running for takeout gets beaten down because you can cook a healthier meal in the same amount of time, with things you already have. The IP has saved me lots of money over the last two months. What is your favorite, healthy IP recipe?